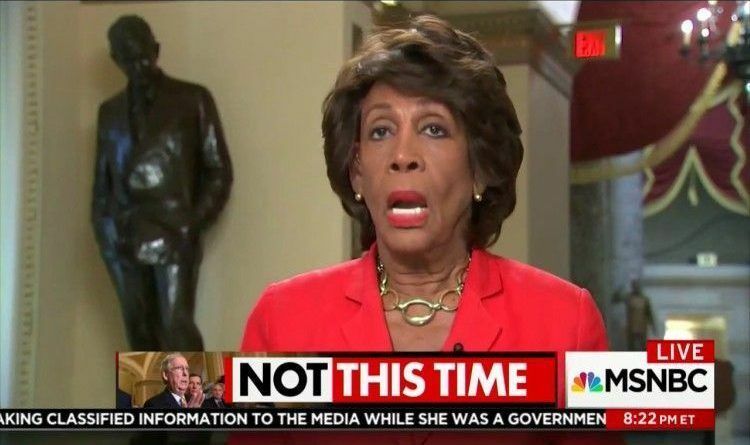 Maxine Waters- the 78-year-old corrupt career politician who thinks Vladimir Putin invaded Korea. Waters is a hateful woman who cares little about America. According to Maxine Waters, 700 Billion people will be harmed because Obamacare will be replaced. During an evening appearance on MSNBC, Waters made the wild claim while referencing what she believes will be the impact on Kentucky. Watch the video below! Chris Hayes asked Waters about how the White House can claim that the bill can cut costs and increase coverage and Waters replied, “Well, that’s just not true,” The American Mirror reported. The Congressional Budget Office claims 22 million people — not 700 billion — will lose health care coverage if Obamacare is repealed. So a Democrat who does not know math or numbers again? Obama once said we have 57 states and it continues on if one looks you find more dumb statements from them, especially from Waters and Pelosi. Shocking New Revelation! Stormy Daniels Was ARRESTED For Domestic Violence, She Also Ran For US Senator In 2009 Against A Republican?